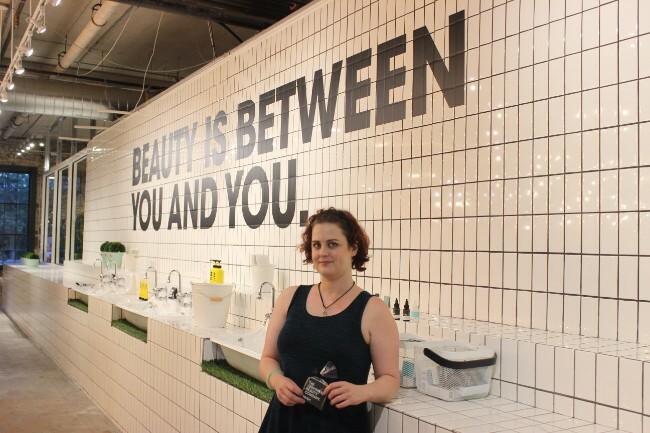 This Monday I got to attend a Pro Makeup Artist event at Deciem's latest store in Toronto's historic Distillery District. I haven't been to any artist related events since last years IMATS so I was pretty excited. I was also pretty darn ecstatic to be there with my makeup artist schoolmate, Trisha. 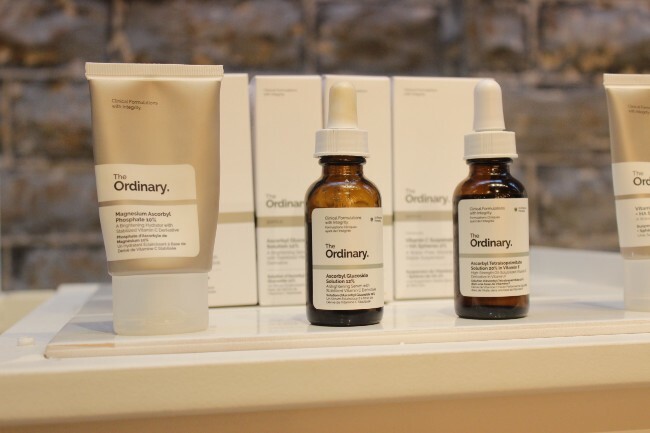 The main focus was The Ordinary's foundation line. 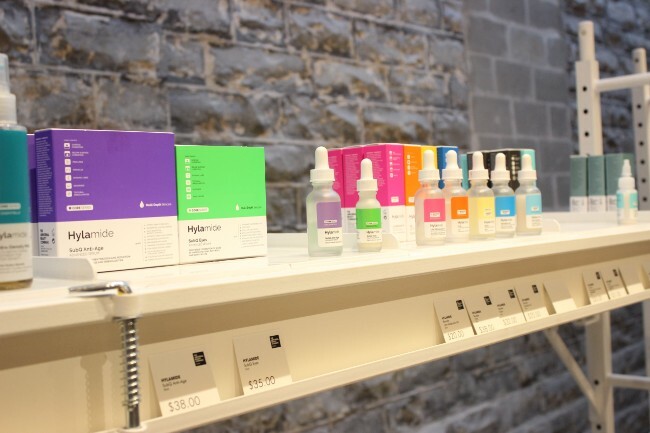 We got to play with them, see them in action in a demo and generally learn about all the products Deciem has under its umbrella. 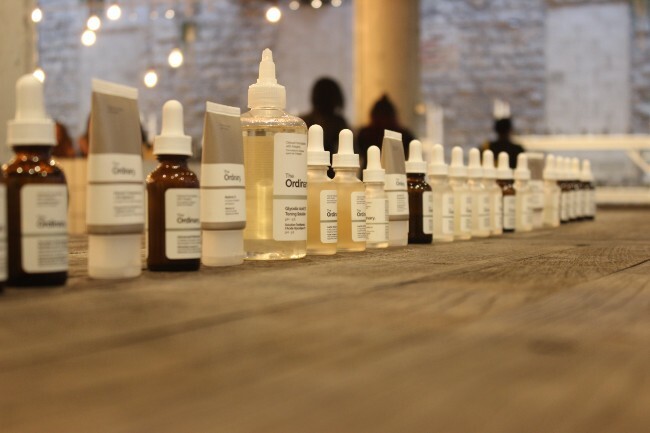 Deciem has 9 brands currently in its production line, with at least three more in the pre-launch stages. 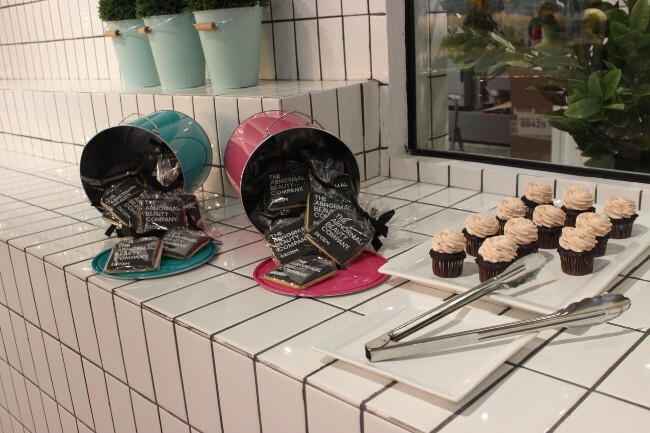 This is their sixth store in the Greater Toronto Area and 11th world wide. Oh and hey their Tail Quarters (what they call their head quarters) is located only a few blocks away from this location, which is never a bad thing. It is such a large and grand store, but isn't overwhelming at all. Products are sorted by brands and easy to navigate. So what caught my eye? Well The Ordinary of course. I think this must be the most talked about brand out there right now and it is easy to see why. It is so affordably!!! 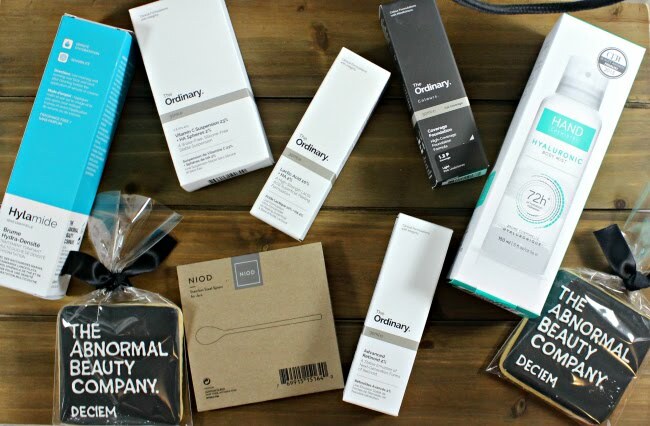 Who doesn't want skin care at a good price? I immediately went and looked at things I had been eyeing online for a long time. I piced up Advanced Retinoid 2%, Vitamin C Suspension + HA Spheres 2%, Lactic Acid 10% + HA 2%, and Coverage Foundation in 1.2P. I also got a mini spoon from NIOD to help with not contaminating products in tubs. From Hylamide I got their High-Density Mist, which is water free!!! I am pretty excited about that one. Finally I grabbed a product I am most intrigued by, The Chemistry Brand's Hyaluronic Acid Body Mist, it is a hydrating body spray that is housed in a clear aerosol can, it is loaded with hyaluronic acid to hydrate the heck out of skin quickly without any stickiness or real rubbing required. It felt amazing on my arms and I am so excited for it. I received a pretty exciting gift bag too. 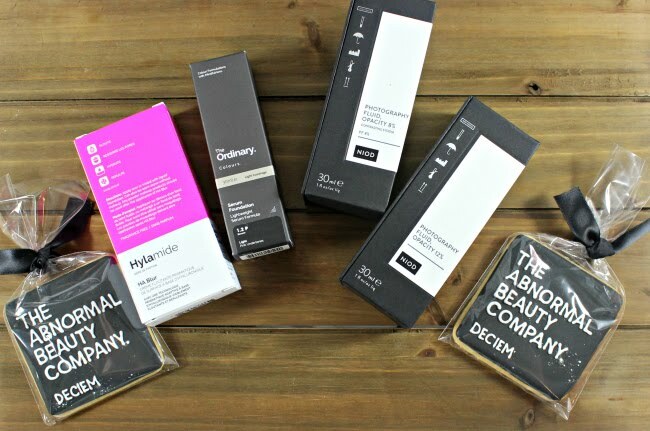 It happened to have The Ordinary's Serum Foundation, Hylamide's HA Blur, NIOD's Photography Fluid Opacity 8% and Photography Fluid Opacity 12%. Oh, and cookie, I got cookies! 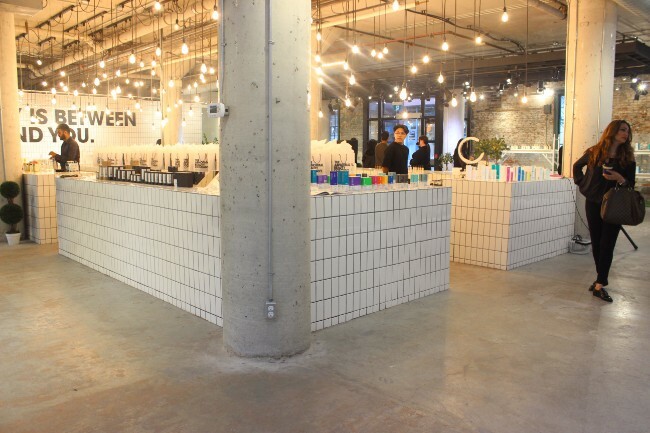 I am so happy I went to this store, I had been oohing and awing on Deciem's site for weeks, loading up my cart and then never ordering. I really feel checking out and playing with products in person can really make the difference between a sale or not with me. The scent, the touch the feel all really sold me on these products and I cannot wait to try them out. 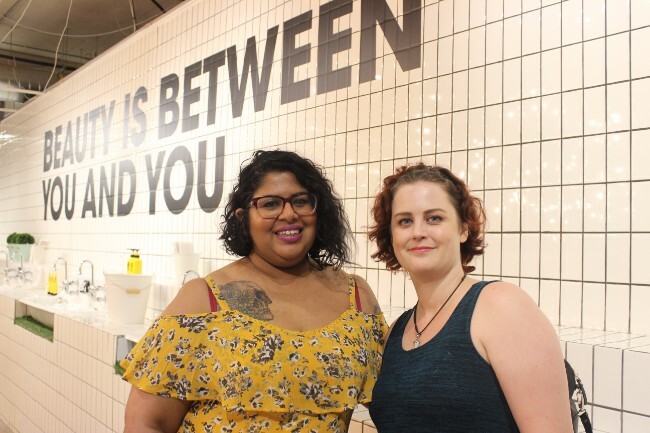 Plus it is in the Distillery District, where my favourite hair salon (McManus and Campbell) and Vintage Store (Black Bird Vintage) are located, so get to enjoy those area perks to when I head there.